TUCSON, Ariz. — After the barns on the west end of the track were torn down to make room for three new soccer fields, the Rillito Park Foundation is faced with the task of paying for new horse barns to be built on the east end of the track before the next racing season. Fundraising for the new barns will begin Saturday, June 6 with Rillito Park’s first annual Belmont Bash. Simulcasting will begin at 9 a.m. with the opportunity to bet on and watch Triple Crown hopeful American Pharaoh in the 147th running of the Belmont Stakes. Place your bets and enjoy signature Belmont Breezes, baby back ribs, banana cream pies and more in the clubhouse. 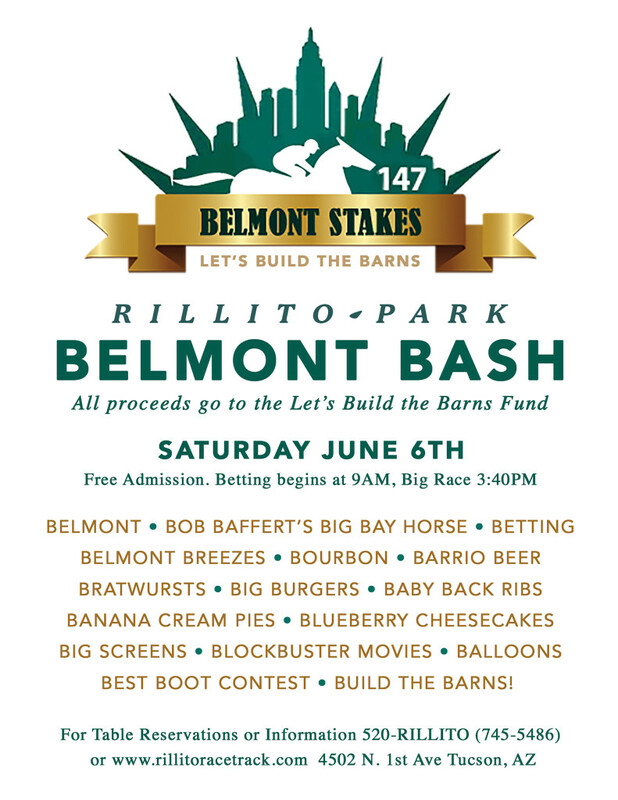 All proceeds from the Belmont Bash will go toward the Let’s Build the Barns fund. For more information and table reservations call 520-745-5486.